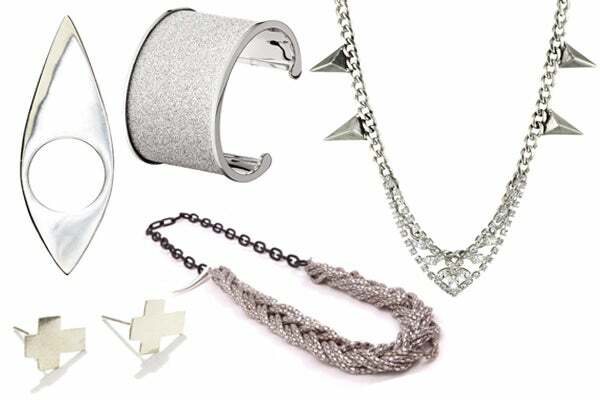 Flaunt Your Olympic Pride With These Gold, Silver, & Bronze Jewels! In between gasps for air and frequent side-ache stops, when we meet the one-mile mark on our morning jog, it's a moment of true glory (yes, it's that pathetic!). Considering our flimsy athletic ability, we marvel more than most at the stupefying strengths of Team USA's robust Olympians. Consider us super-glued to the tube from tomorrow right up to the closing ceremonies! And, although our personal "best" isn't even JV material, we'll still be trying to look it as we cheer those champs on. 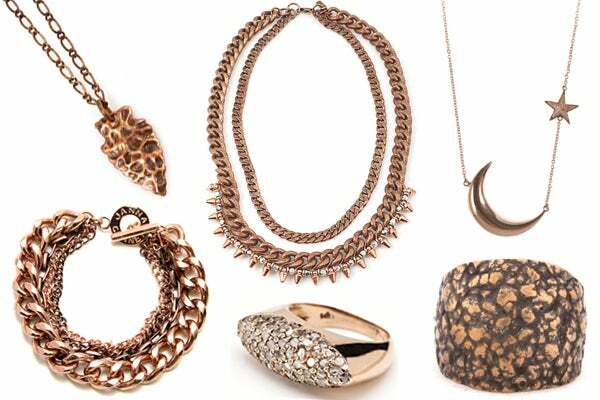 To get in the proper sartorial spirit, we went digging for L.A. designer's most dazzling gold, silver, and bronze metals. Track suits and bling never look better than up on that pedestal, right? Now, we'll toss the baton to you. Rah rah shish koom bah! 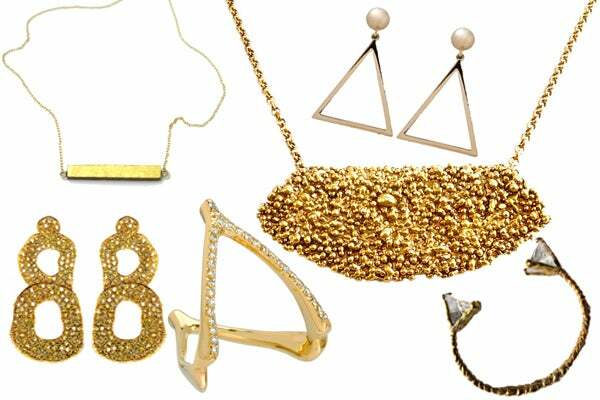 Clockwise from top left: Sophie Monet Gilded Horizon Necklace, $110, available at Sophie Monet; Karla Deras x Roman Luxe Triangle Drop Earrings, $66, available at Revolve Clothing; Mr. Kate Arke Necklace, $285, available at Mr. Kate; Unearthen Single Prism Cuff, $550, available at Unearthen; Jennifer Meyer Pave Diamond Wishbone Ring, $2,500, available at Barneys; Melinda Maria Jane Baby Earring, $500, available at Melinda Maria. Clockwise from top left: Ludevine Silver Extreme Cat Eye Ring, $240, available at Roseark; Rebecca Glam Film Cuff Bracelet, price available upon request, available at Oster Jewelers; TomTom Tribal Astray Necklace, $195, available at Endless; Gabriela Artigas Classic Snake and Black Chain Necklace, $240, available at Genesee; Rossmore Cross Earring Studs, $45, available at Rossmore. Clockwise from top left: Vanessa Mooney Maya Single Necklace, $27, available at Vanessa Mooney; Vanessa Mooney The Copper Crash Statement Necklace, $237, available at Vanessa Mooney; Melinda Maria Moon + Star Necklace, $170, available at Melinda Maria; All For The Mountain Heirloom Planet Ring in Bronze, $138, available at All For The Mountain; Arik Kastan Diamond Marquis Ring, $3,200, available at Roseark; Janna Conner Rose Gold Chain Bracelet, $68, available at Max and Chloe.